Personalized music service Pandora let lower than expected Q4 revenue out of the box resulting in a 22% drop in its stock prior to Wedneday's opening bell. Despite the fourth quarter miss, mobile ad revenue for the year quadrupled from $25 million to $100 million. Pandora CEO Joe Kennedy is trying to get investors to focus on Pandora's market share of the "radio listening market" which, by his estimate, doubled in the last year to 5.5%. The problem that Wall Street has with the company is that it will be hard for Pandora to turn its growth on mobile devices like the Apple iPhone and Android handsets, into bottom-line profits. Kennedy, though, claims that outside of Google, no other Web based company made more money on mobile ads. 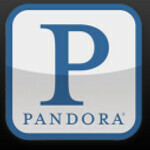 But some of Pandora's earnings report was not the sort of growth story that investors want to hear about. Revenue for Q4 merely fell within the range expected by analysts. CEO Kennedy also said that holiday ad spending was a "touch lighter than we expected." Additionally, the amount of money that the company received from third parties for its unsold ad inventory was lower than expected in January. If you know the story of Pandora's box, investors in the stock will be feeling as though someone has let some money eating monster loose when they see what has happened to the stock this morning.